Many Wireshark users do not know this, but when you install Wireshark you also get a number of command line utilities that are really useful. Of course it always depends on what you’re doing, but in many situations I use those tools instead of Wireshark. Or, to be more specific, I use them before I use Wireshark on the results I get using the command line tools. which will extract all packets containing DNS, and writing them to a new file of the same name as the original into the “DNS” subdirectory. This can also be run from a batch file which is often even more useful because you can use it again and again on different file sets. This can be really useful to see where connections attempts are coming from. If you want to check only established connections you need to adjust the filter expression accordingly, depending on what protocol you’re looking at. Using the “-d” parameter to deduplicate capture files where the capture setup resulted in true duplicates. Hint: the latest editcap version 2.2.x can now also remove VLAN headers using the “–novlan” parameter, in case you need it (I guess it doesn’t help for IP packet duplicates, as the different TTL values will still prevent the deduplication). mergecap is more or less a “One Trick Pony” for me: I use it to concatenate capture files, usually when I extracted subsets of packets from a file set (see the DNS example above) and want to merge the resulting files into one single capture file. One thing I often do is using the conversation list to double click a row to extract and open the conversation in Wireshark to look at it on a packet level. Since I can sort the columns ascending or descending I usually also check those connections with the worst iRTT, and those where the status column tells me something interesting like “Connection established after multi SYN retry”. Looking for security events, indicators of compromise or other malicious activity can be done using Wireshark and looking at packets one by one, or by applying and removing filters. But just because you can doesn’t mean you should – trying to match patterns in network packets really fast is something I don’t use Wireshark for. Instead, I use Snort or Suricata, which are designed to look at packets in real time (or from one or multiple capture files). Afterwards, hits are often verified using Wireshark, but you simply can’t match the speed of both tools comparing packets against thousands of patterns with an interactive network analysis tool. 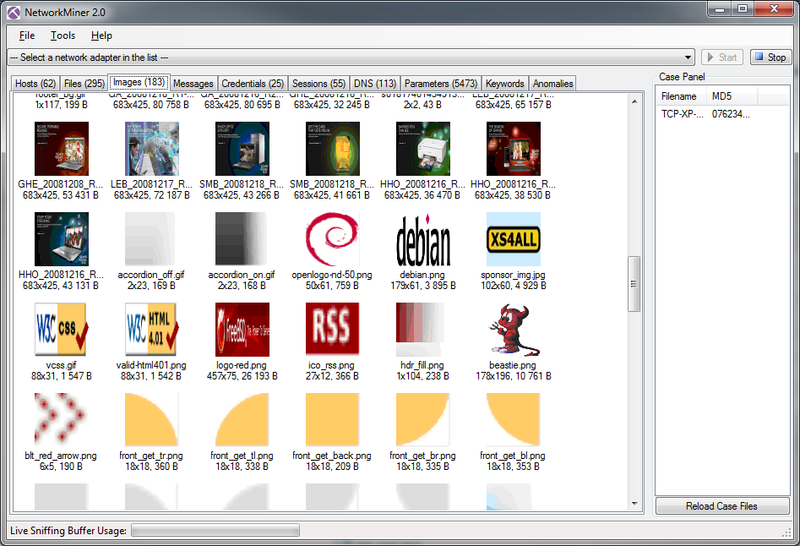 For me, I often start with a set of capture files (pcap mostly, until Snort can read pcapng), and run Snort against them with a set of indicators of compromise. 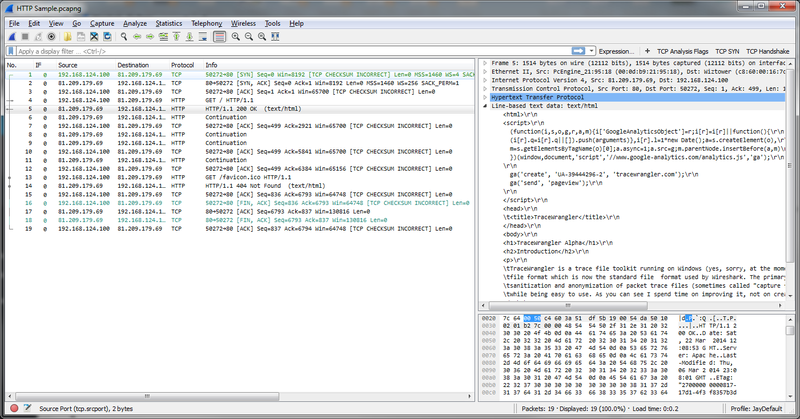 Then I use TraceWrangler and Wireshark to verify the hits. I appreciate how much work you put into your articles – it really shows your expertise and passion for this subject. I was wondering if you will be writing any articles on capturing packets on a wireless network. I’m just having a difficult time finding all the pertinent information to help me with learning this subject – most articles are videos leave out important information so it leaves me even more confused. What I’ve figured out so far is that I cannot properly capture all information on Windows without Riverbed AirPCap, Acrylic WiFi and recommended USB adapters, or Yang Luo’s npcap software (which bluescreened when I tried it so I didn’t bother troubleshooting), and finally other USB adapters such as one offered from youtuber Hak5. I purchased Acrylic WiFi and am waiting for the recommended adapter to arrive in order to test it out. In the meanwhile, I did receive wifi capture files from the people whom are having issues on their network with chromebooks (students doing test on graphics-intensive tests and getting disconnected, sluggish response, or are stuck in a processing screen). The people whom ran the capture used their MacBook Pro and ran tcpdump. Looking at the capture, I see 802.11 protocol, which I assume means it did capture wifi packets. But I’m rather lost after that. I believe 802.11 packets are by default, encrypted, correct? So I’d need to enter in a RSA key to decrypt them? What about the HTTPS traffic? Do I need to do something special to access that information? And how would I go about finding out what is causing the issues they reported using wireshark? Or is wireshark not built for troubleshooting wifi this way? I’m all over the Internet asking questions but people aren’t telling me the whole story. If they don’t know if this is not doable, then I’d like to know so I don’t waste anymore of anyone else’s time as well as mine. thanks! I have to admit that my WiFi skills (including capturing) aren’t as well developed as the wired capture, but I will try to add something to the capture playbook blog post series sometime in the future (I’ll need to do research first). Most WiFi packets are encrypted, unless people are using open/unsecured/unprotected wireless access points. You can usually tell by not being able to see anything you recognize. To decrypt WiFi you need the password for the access point and enter it in the Wireshark preferences at the “IEEE 802.11” protocol page. HTTPS would be another layer of encryption for which you’d need the private server key to decrypt it – but I think decrypting the WiFi encryption is usually enough to get results. Wireshark is absolutely the right tool for this, but I admit going through the decryption first is a bit of a hassle. Thanks for responding, Jasper. I didn’t know you had responded to this post until I was googling and your article came up again. :) I appreciate you taking the time to go into details about everything as it was very useful. I really hope you do get more into wifi and write about it as I’d love to learn more. Have a great rest of your week! I’m not an expert in wireshark and I don’t get it to work this way so maybe I can analyze the dump with another tool. I haven’t seen a tool that can do this; it’s a question that sometimes also comes up at ask.wireshark.org. You can probably script something like this via scapy if scripting isn’t out of the question.